Begin by logging into the “administration area” or the back end of your website. Visit your site’s login page by placing “wp-admin” after your domain name. You can also place “login” after your domain as of WordPress 3.4. Some themes provide a “login” link or form on the front end as well. 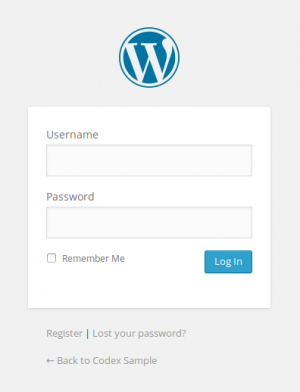 Now log into WordPress using your username and password. 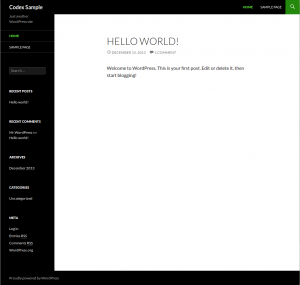 The layout you are looking at is called a WordPress Theme. It is the appearance of your website, styling the look of the site and the framing of the content. 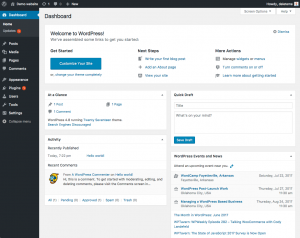 The WordPress Twenty Seventeen theme features a “header” at the top with the title and tagline for your site. Below this is your Menu. Along the side, you will see some titles and links. This comprises Widgets. Within the main middle section of the page is the content area. At the bottom of the page is the footer.